The official iPhone File Manager suggested by Apple is iTunes. We have all used it, and we all probably hate it. iTunes is notorious for being extremely difficult to use and for causing a number of errors. Most people don’t know how to navigate it. And sometimes it even leads to complete data loss from iPhone if you accidentally select the wrong option. While iTunes is a terrible file manager, you do still need an iPhone file manager to handle all your photos, media, contacts, and documents. You need a file manager to transfer files from iPhone to PC and vice versa. In this article, we’ve listed out some of the most user-friendly and advanced iPhone file managers on the market. These file managers will undoubtedly prove to be a valuable alternative to iTunes. 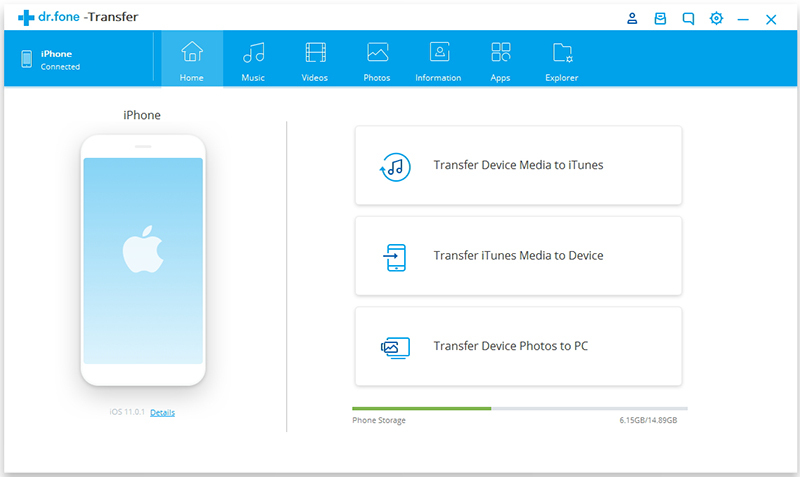 dr.fone – Transfer is my #1 choice for the best iPhone file manager for a number of reasons. It has been developed by Wondershare, the world’s leading technology enterprise, so you know it’s reliable. It has an established and dedicated user base of millions. And it’s a one-stop shop to handle all your iPhone file management needs without any possibility of data loss. 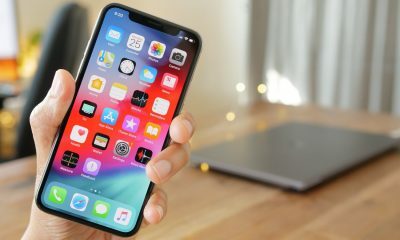 Best iPhone File Manager to transfer files from iPhone to the computer. 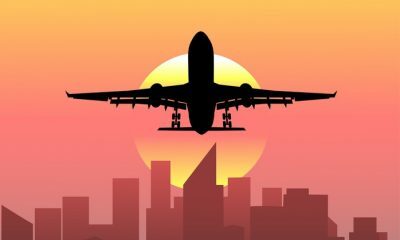 Can import files from iPhone to PC and vice versa within a few minutes. 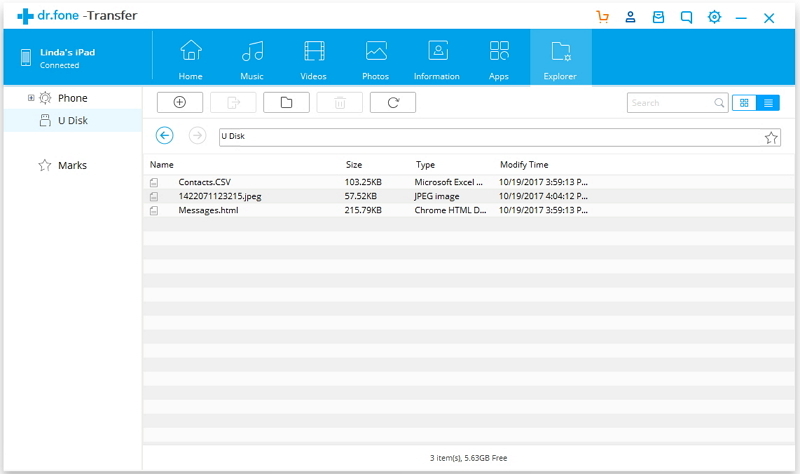 Can transfer files including photos, music, contacts, SMS, etc. 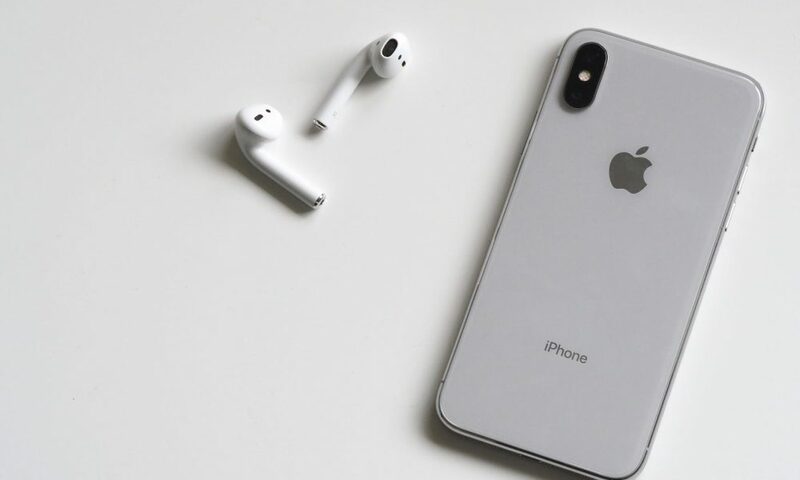 Compatible with iPhone XS, iPhone XS Max, and all other iPhone models. Compatible with all iOS versions and all Windows and Mac OS versions. 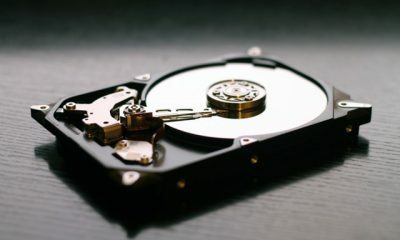 Can transfer files from Android phones to computer and vice versa as well. 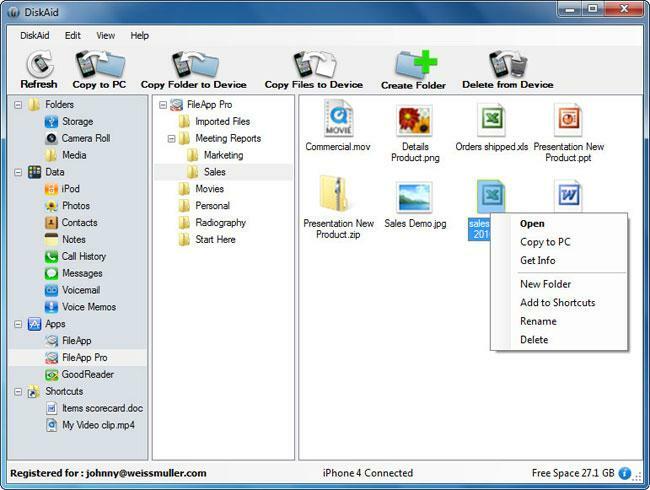 dr.fone – Transfer has a number of options to transfer files between different mediums. You can transfer files from an iPhone or Android phone to computer or vice versa. 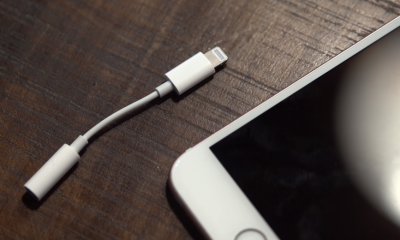 You can sync your iTunes data to dr.fone without actually using iTunes. You can then transfer music files and iTunes data (including podcasts, TV shows, etc) from iPhone to computers. 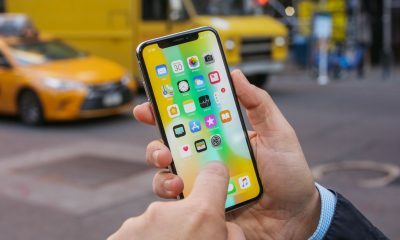 You can also choose to transfer photos and video files from the iPhone to the computer and vice versa. You can also manage your photo library or delete them. 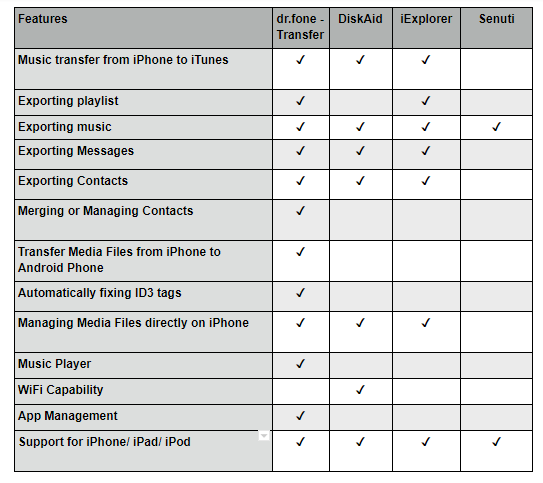 dr.fone – Transfer is a single source from which to handle all the data in your iPhone. 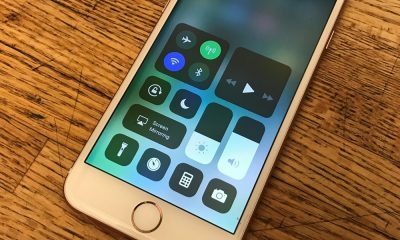 You can create a backup of all your iPhone messages, calendars, and contacts and then send them to the computer as backups. dr.fone – Transfer can also be used to create backups of your apps so they can be sent to other phones. 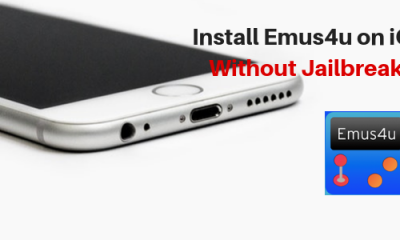 You can also install apps or uninstall apps you no longer need. 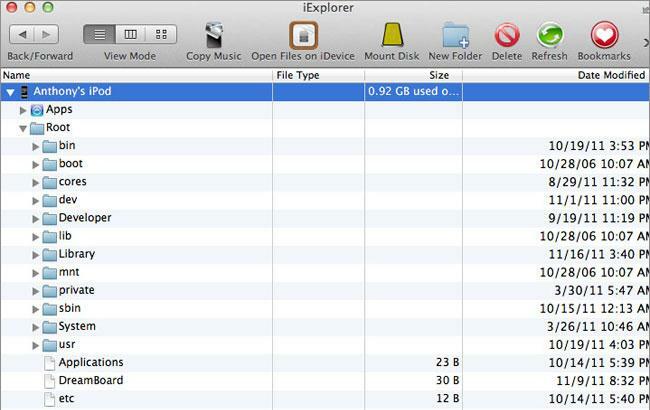 Using the iPhone Explorer option, you can check out all of the files available in the iPhone in the Disk Mode. 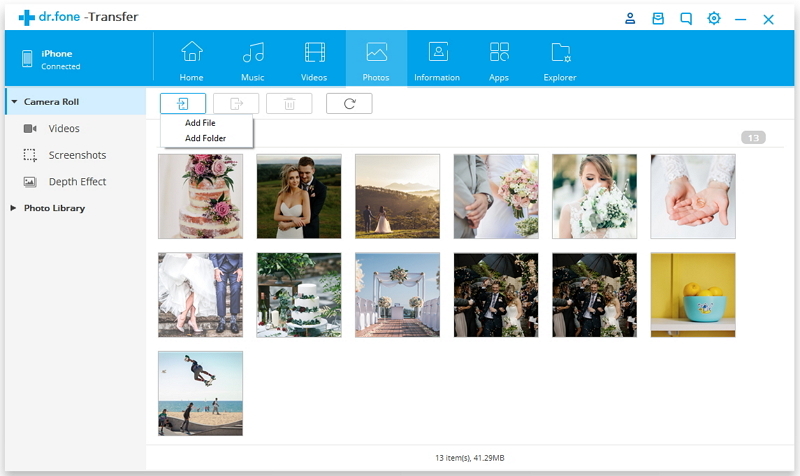 That will help you view and manage all your files from a single location. DiskAid is a WiFi-enabled iPhone file manager. 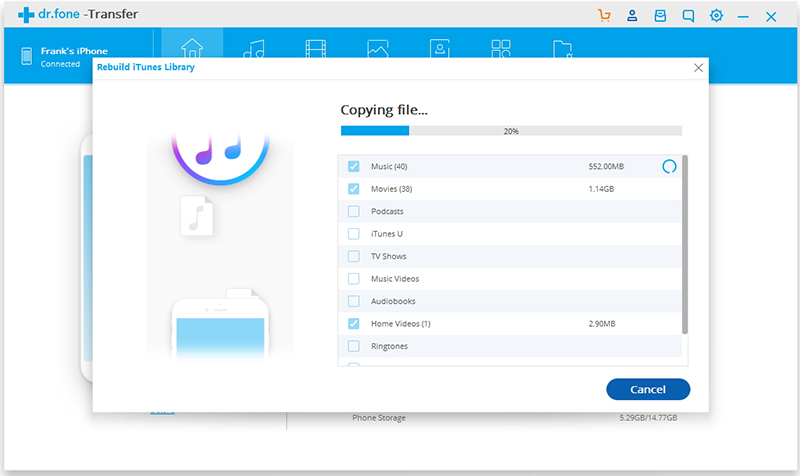 It’s available in 10 different languages and it can be used to transfer all kinds of media files like music, videos, photos, etc, from iPhone, iPad, or iPod to your computer or your iTunes. 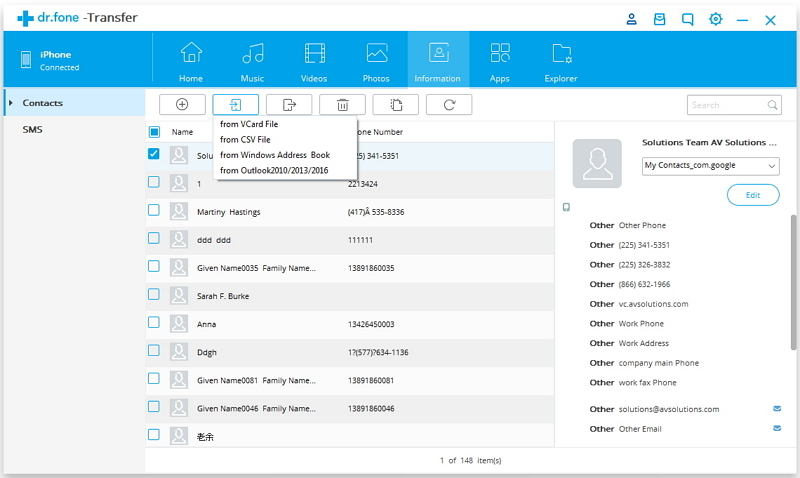 In addition to media files, it can also be used to create backups of text messages, contacts, voicemail, etc. Drawbacks: You cannot use it to merge or manage contacts or transfer files from an iOS device to an Android device. It is also incapable of managing apps. iExplorer is another strong iPhone file manager. It has been developed by Macroplant and comes in three versions — Basic, Retail and Ultimate. 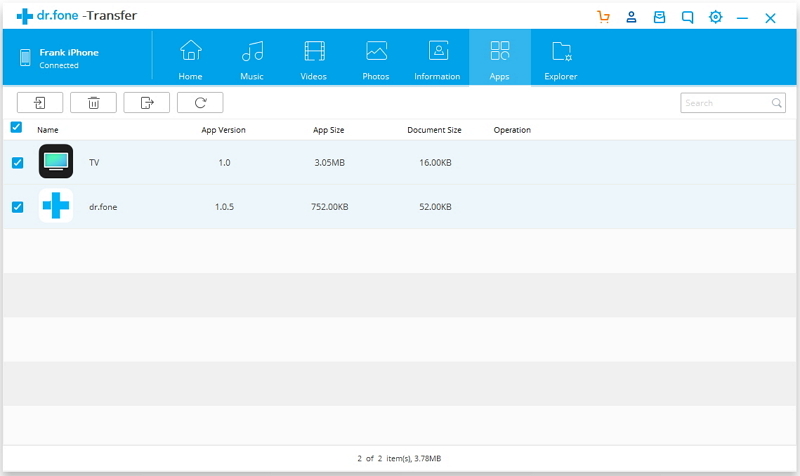 You can use iExplorer to transfer music files and other data from iPhone, iPad, or iPod to a computer. You can also view and export all your messages or create backups of your contact. Drawbacks: You cannot use this to manage apps or to transfer files from iPhone to Android phone or vice versa. 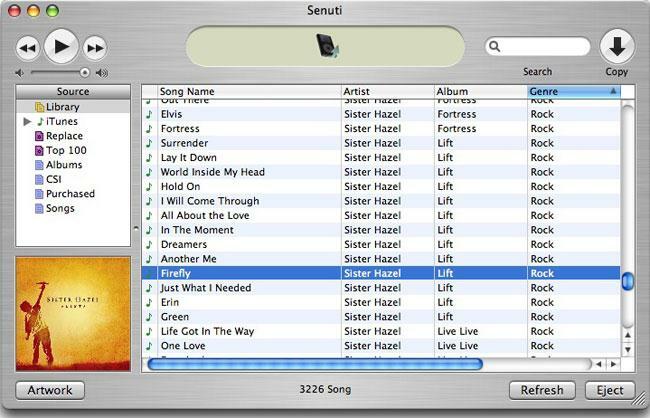 Senuti is a fairly basic but user-friendly iPhone file manager to transfer music files from iPod or iPad to computer. You can save the files either to your computer or iTunes by simply dragging and dropping. In addition to transferring music files, you can also sort songs and create playlists. Drawbacks: Used primarily for transferring music files, not much else. 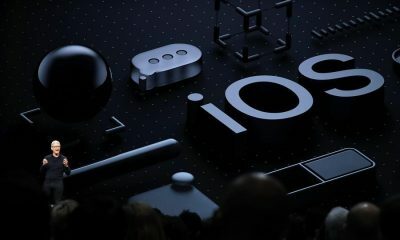 I hope this article has helped you decide which is the best iPhone File Manager to help you organize your iPhone/iPad or transfer files from iOS to computer and vice versa. 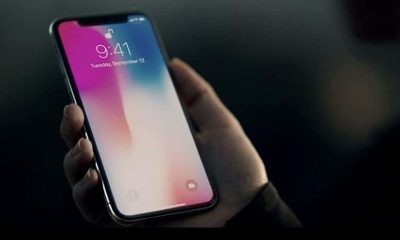 My personal recommendation is to use dr.fone – Transfer as it doesn’t have a single discernible flaw and has the most extensive set of features compared to the alternatives.